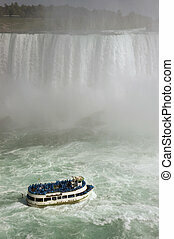 Rainbow and tourist boat at niagara falls. 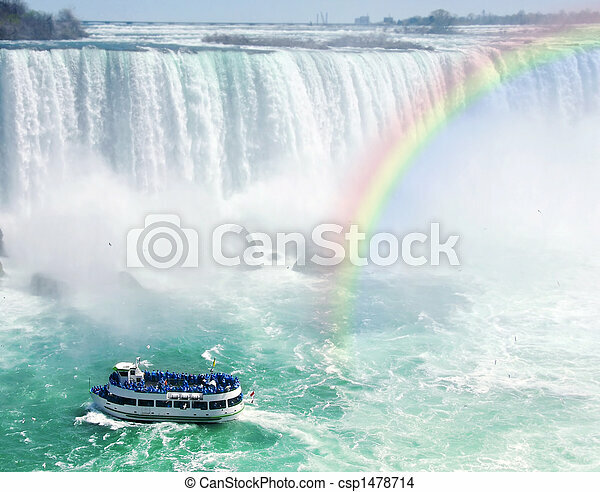 Spectacular rainbow near tourist boat at niagara falls. 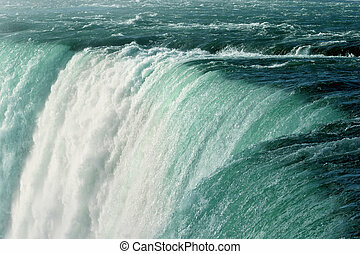 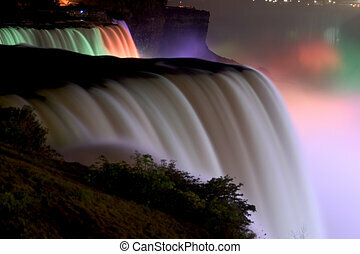 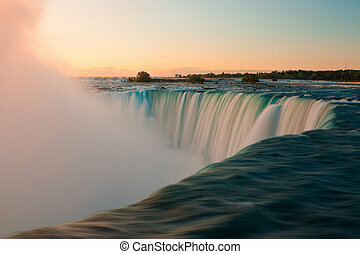 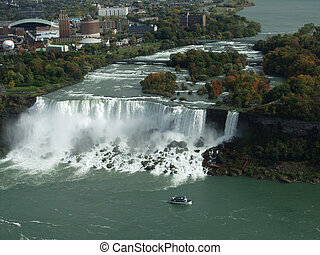 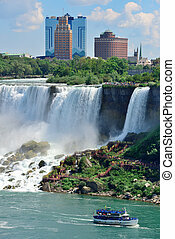 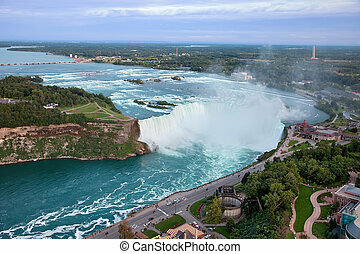 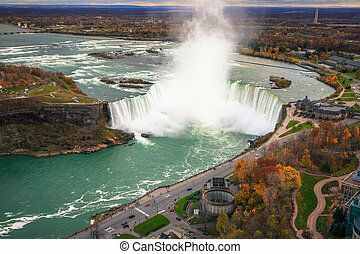 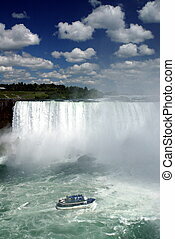 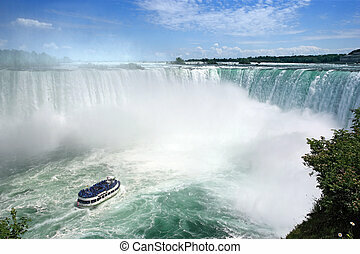 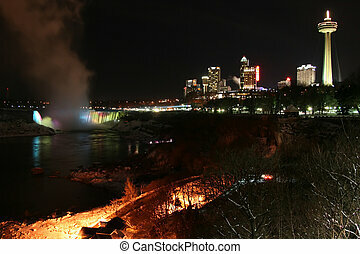 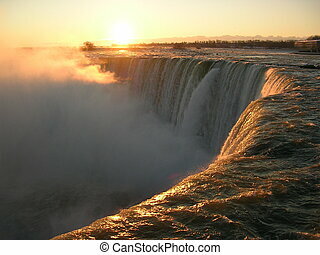 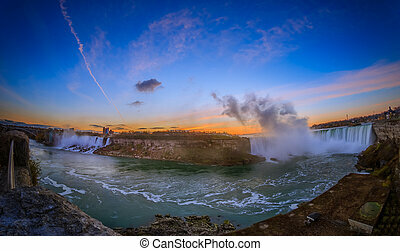 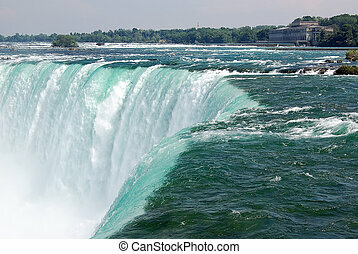 An image of Niagara Falls from the Canadian side. 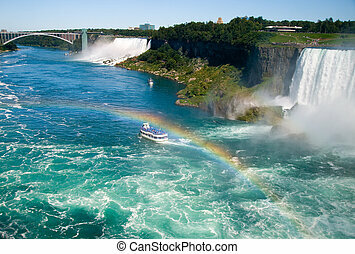 The Niagara river next to the Canadian horseshoe falls with a rainbow.